Need Emergency HVAC Service in Webb City, Missouri? Barone's Heat & Air, LLC provides the expertise and skills you need right away, covering any HVAC emergency services in Webb City, Missouri. Our professional technicians are only a phone call away. 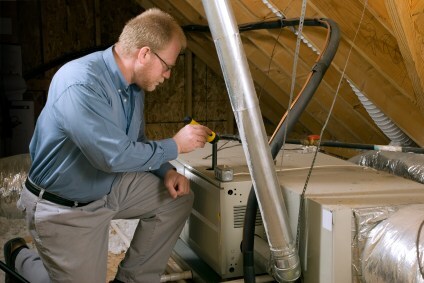 Do you need an expert HVAC contractor right now? The trained staff at Barone's Heat & Air, LLC services the entire Webb City region with on call HVAC emergency services on both residential and commercial heating and cooling systems. Dedicated to delivering an immediate, qualified response, Barone's Heat & Air, LLC has the experienced manpower to provide all levels of after-hours and rapid HVAC services. Barone's Heat & Air, LLC also offers competitive pricing for HVAC emergency services, installation and maintenance. Although budget isn't your first concern with a broken furnace or inoperable air conditioner, Barone's Heat & Air, LLC is interested in building long term client relationships across the Webb City region, and our affordable prices help us to do so. Get professional service and quality equipment at reasonable prices from Barone's Heat & Air, LLC. What Qualifies as a Webb City Emergency HVAC Service? HVAC businesses in Webb City operate like most other businesses, with scheduled hours of operation. However, Barone's Heat & Air, LLC knows that your heater and air conditioning units don’t run on a typical 9-5 schedule, which means sometimes you’ll need service after hours. At Barone's Heat & Air, LLC, our emergency HVAC services are available 24/7/365. So what qualifies as emergency HVAC? Late Hours: Emergency HVAC in Webb City typically happens when your air conditioner or heater needs assistance outside of normal business hours. At Barone's Heat & Air, LLC, you can rest assured we’ll provide 24/7 air conditioning repair or heater repair, no matter if it’s 3PM or 3AM. Why Choose Barone's Heat & Air, LLC for Emergency HVAC in Webb City? Affordability: You’re already stressed dealing with a broken HVAC system in Webb City, but don’t let the cost make the situation worse. Barone's Heat & Air, LLC provides affordable services so you can get everything back to normal quickly. Expertise: Our company started in 2009, so we’ve been around for a while and have seen a variety of HVAC emergencies in Webb City, allowing us to deliver the expertise needed to help you when you need it most. Access to Quality Equipment and Parts: Whether replacement or repairs are necessary, Barone's Heat & Air, LLC has access to the parts and equipment required for Webb City HVAC emergency services. Parts available within a short window of time. We'll get your HVAC up and running again promptly. Call Barone's Heat & Air, LLC for immediate and affordable emergency services to your HVAC system using quality equipment and parts. Our fully trained and insured staff are ready to service your HVAC with the care and speed required. Call (417) 232-0017 today for more details. Available for immediate and emergency services in Webb City the HVAC pros at Barone's Heat & Air, LLC offer top notch service, parts and equipment on short notice, bringing your heating and cooling systems back on track fast.